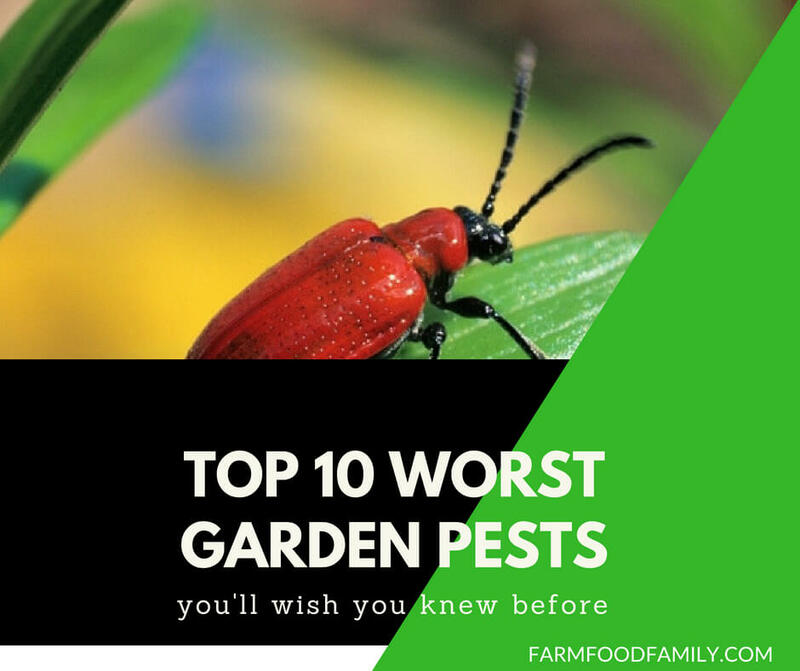 Here are the top 10 worst garden pests, in order of their persistence in gardens, and how to control them. Slimy pests that make holes in the leaves, stems, flowers, tubers and bulbs of a wide range of plants. They devour hostas, marigolds and young seedlings. Control: Target controls to protect vulnerable plants. Baits containing metaldahyde are effective, as is biological control Nemaslug, a microscopic nematode you water on the soil. These infest many container and garden plants. In warm months adults eat leaves, and in cool months the grubs eat roots. Control: On spring/summer evenings inspect plants by torchlight and pick off adults. Microscopic nematodes (Nemasys Vine Weevil Killer) can be watered onto soil. Suitable pesticides include Provado Vine Weelvil Killer 2. Heavy numbers blacken leaves of evergreen shrubs in late winter/spring. Insects are yellow-brown, oval to 1/8in (3mm) long. Control: Wipe underside of leaves with a damp cloth. Use Vitax Organic 2 in 1 Pest and Diease Control (organic) or Westland Resolva Bug Killer (contact pesticide). This can strip lilies, fritillaries and cardiocrinums of leaves. Both the adult beetles and their black, excrement-coated grubs eat foliage. Control: Inspect plants regularly from late March onwards, and hand-pick adult beetles, larvae and eggs to destroy. Spray plants with Provado Ultimate Bug Killer. Larvae and adults feed on foliage of rosemary, sage, lavender, thyme and others. Leaves can be reduced to short stumps. Control: Pick off by hand. Pyrethrum-based organic pesticides (such as Bug Clear Gun for Fruit & Veg) can be used on edible herbs. Green and blackfly distort growth, cause a lack of plant vigor and they often excrete a sticky substance (honeydew) on foliage which encourages sooty mould. Some aphids transmit plant viruses. Control: Pinch out affected leaves/shoots if possible. Under glass use ladybirds, hoverfly larvae, lacewing larvae, parasitic wasps – all aphid predators. Many insecticides available. This tiny fly has since become a major pest. Larvae bore into stems and bulbs of leeks, onions, chives and garlic; plants often rot. Control: In March/April and October/November cover plants with fleece. Rotate crops, as adults flies might emerge from under coverings if plants are grown in the same piece of ground in successive years. These caterpillars bind leaves (and flower petals) together with silky threads, and then feed inside. They affect a range of plants; under cover they cause damage all year round. The nocturnal wood mouse, short tailed vole and bank vole can be seen all year round. Under good conditions their populations reproduce rapidly. Fruits, seeds, bulbs and veg are all attacked. Control: Set traps where damage occurs. Use peanut butter as a bait for mice; pieces of dessert apple or carrot for voles. Poison baits (used with caution) may not be effective when there are lots of other food sources. More of a nuisance than a pest, during nest building they disturb soil around plant roots and deposit it on the surface, and they can dry roots out by creating air pockets. Control: Avoid disturbing nests: if destroyed, in-coming queen ants will take their place, and establish even more new nests. Poisonous baits include Nippon Ant Killer.